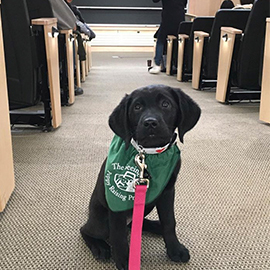 Today is National Seeing Eye Dog Day and to commemorate these important service animals, we recently interviewed Rose Bogina, a Rutgers University junior, who is training a puppy from The Seeing Eye ® and Jamie Maffit, director of the Orientation and Mobility (O&M) program here at Salus University. 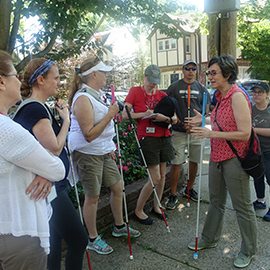 Recently, the University’s Department of Blindness Low Vision Studies (BLVS) program successfully ran a pilot micro-credential course, Neurological Visual Impairment in Children, for professionals in blindness and low vision. 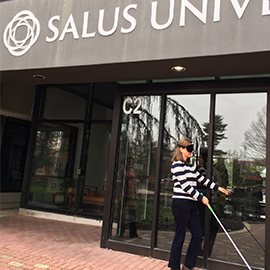 Salus University has been doing the Bird Box Challenge safely since the 1980s. 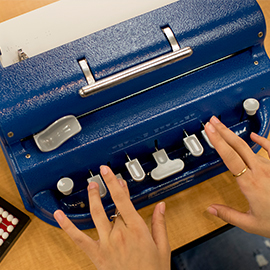 The University's founding college, the Pennsylvania College of Optometry (PCO), was the first institution in the country to offer a graduate degree and certificate program in Vision Rehabilitation. 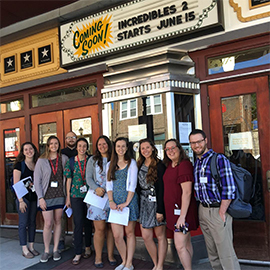 Recently faculty and students from the Speech-Language Pathology (SLP), Occupational Therapy (OT), and Blindness and Low Vision Studies (BLVS) programs from the University’s College of Education and Rehabilitation (CER) participated in an Interprofessional Education (IPE) workshop. Salus University has recently entered year two of a three-year $75,000 grant partnership with the Northeast Pennsylvania Lions Service Foundation (Lions Service Foundation).